The Oct. 22 report in Al Arabi Al Jadid quoted a high-ranking officer in Baghdad assigned to the command of the international military coalition in Iraq as saying the aircraft were obtained during Islamic State military operations in Syria and Iraq. "The international coalition’s forces are trying to locate the whereabouts of two Sukhoi planes and three Russian-made helicopters from the 1980s that had been captured by Daish [an alternative name for the Islamic State] to destroy them before the latter can use them to carry out its plans," the officer said. The aircraft currently are not capable of flying, and that has prompted the Islamic State to advertise for jihadist experts who can repair the aircraft. Several captured aviation officers and experts have been executed for refusing to help the Islamic State fix the aircraft. "The planes that Daish has are not ready for flying due to defects that require specialized experts to repair them," the officer said. On social media, the terrorist organization recently published an advertisement purportedly from the Islamic State’s "military industry and development commission" that sought to recruit aviation experts who can repair and fly the aircraft. 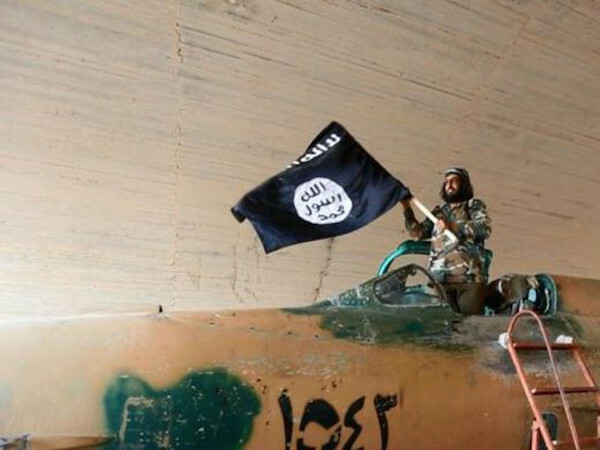 The advertisement stated that "the Islamic State requires specialists in aeronautical engineering, mechanics, physics, chemicals, and metallurgy." Specialists in machine tools also are being sought, and a telephone number in Syria was provided. 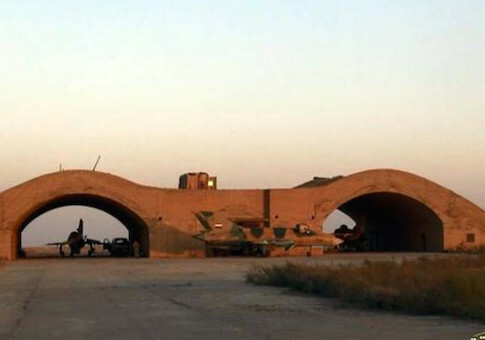 The military officer voiced doubts that the Islamic State would be able to repair the aircraft and use them for attacks, noting that coalition military forces were closely monitoring areas controlled by the terrorist group for any signs of aircraft development. A CIA spokesman had no comment when asked whether the threat of Islamic State aircraft attacks is credible. Pentagon spokesmen had no immediate comment. A report by the Army’s Training and Doctrine Command intelligence support activity states that the Islamic State arsenal includes many captured Iraqi weapons, including tanks, armored vehicles, Humvees, shoulder-fired missiles, artillery, and gunboats. It is also believed to have Scud missiles, according to the report. The group has also obtained unmanned aerial vehicles that it is using for military reconnaissance, the report said. 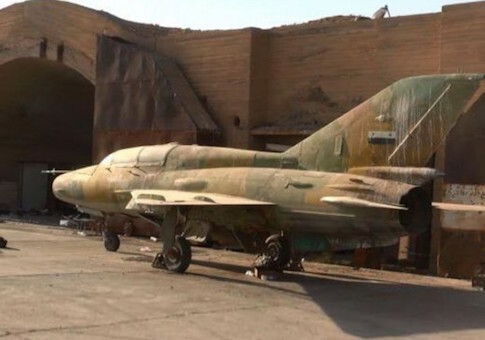 The website Iraqi News reported in August 2014 that the Islamic State published photographs on Twitter of captured Syrian Su-22 jets at the Tabaqa airport in Raqqa, Syria, the terrorist group’s headquarters. Raqqa has been a major target of Russian and French airstrikes in recent weeks. Meanwhile, a French aircraft carrier arrived off the coast of Syria last weekend and jets from the ship have begun conducting strikes against Islamic State targets in retaliation for the Nov. 13 attack in Paris. In a related development, the terrorist group posted a new video threatening to kill "tyrants" in the United States, Turkey, and Europe. And in Turkey, a newspaper reported that the group has posted a new video threatening attacks against Christian churches. The videos were released through Islamic State Twitter accounts. Russia’s defense ministry said on Monday that its forces had conducted several hundred airstrikes against targets in Syria. The Islamic State is also seeking to develop chemical weapons, according to a report in Britain’s Sky News. The report quoted an Iraqi intelligence official as saying Islamic State is working "very seriously" on chemical arms that could be used in global attacks. The group has used the blistering agent mustard as well as chlorine in Iraq and Syria. The report said the Islamic State is working with chemical warfare experts from outside the region, including from Russia’s Chechnya and from southeast Asia, on the chemical arms. This entry was posted in National Security and tagged Islamic State. Bookmark the permalink.